It is becoming increasingly difficult for the modern family to spend quality time together, away from the distractions of day-to-day life. Here at Camp Burgess & Hayward, we strive to eliminate those barriers and allow you to reconnect, by giving you the opportunity to focus on what is important – each other. Join us for Memorial Day Family Camp! Our talented staff endeavors to make this experience unique, setting it apart from other family vacations by providing a diverse selection of programs and activities. We provide healthy meals, comfortable lodging, and unique staff-led programming that will appeal to all ages. At the end of a fun-filled day, we invite you to relax beside the campfire, free from cell phones and to-do lists, to enjoy the company of your loved ones, as you’re enveloped by the beauty of the natural world. Our lodging offers families and groups the option to choose amongst different types of shared and private spaces. Larger groups and family reunions can book an entire cabin group, while single cabins provide a cozy retreat for individual families. 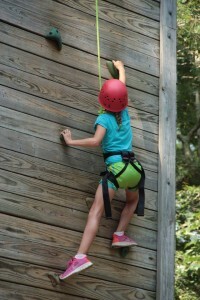 Activities include Archery, Canoeing, Kayaking, Swimming, Climbing Tower, Zip Line, High Ropes, Basketball, Gaga Ball, Tetherball, and More! Evening activities include a beach party, with a barbecue at the waterfront, followed by our famous campfire with songs and skits. Many of our programs and activities are weather dependent, alternative programming may be necessary. Please see our tentative schedule here Sample Schedule. 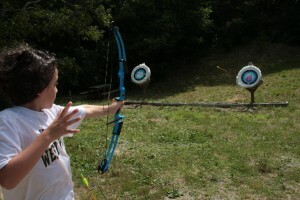 We offer Family Camp every Memorial Day Weekend!. The 2019 Family Camp Dates are May 25-May 27, 2019 . The all-inclusive weekend includes lodging in one of our cabins. The fee includes up to five people. Our cabins accommodate up to 10 people. Please view our registration form below for additional information and pricing. Cancel within 30 days, no refund. Please contact Katie O’Brien at kobrien@ssymca.org or at (508) 428-2571 ext. 107 for more information and to register. Just one hour South of Boston, Camp Burgess and Hayward is located on over 300 acres of forests, fields, and sparkling freshwater ponds. Nestled between the girls’ and boys’ camps, you’ll find 90-acre Spectacle Pond, which provides the idyllic setting for swimming, boating and waterfront recreation.